Los Angeles radio veteran DJ Rawn put down an eclectic hip-hop mix on Shade 45’s Sway in the Morning on Friday. His half-hour set contained a variety of major and independent tracks from across different eras. Listen below, and tune in to Rawn’s Old School Hour show on SiriusXM’s Globalization channel weekdays at 9 a.m. PT. With the release of his new single “Believe” and upcoming Goldie Awards battle, A-Trak stopped by Shade 45’s Sway In The Morning to catch up and drop a turntablism-friendly mix. During the convo, the Fool’s Gold boss explained that he created the Goldie Awards to push the art of DJing forward. Watch the full interview and mix below. Over the last two decades, legendary music producer and executive L.A. Reid has discovered or worked with stars like Kanye West, Rihanna, Justin Bieber, and Future. 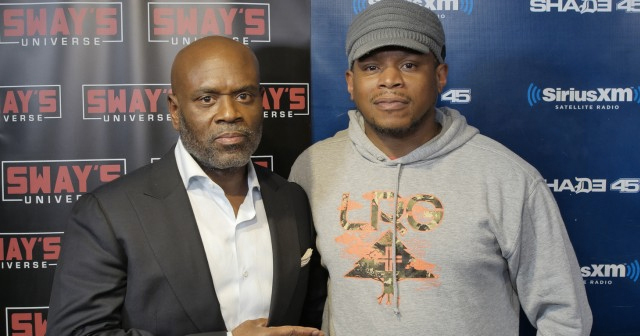 Today, with the release of his new memoir Sing To Me, Reid stopped by SiriusXM’s Sway In The Morning to discuss his impressive career. The mogul recounted signing OutKast, overseeing LaFace and Arista Records, talking with Kanye West before the release of 808 & Heartbreak, and more.